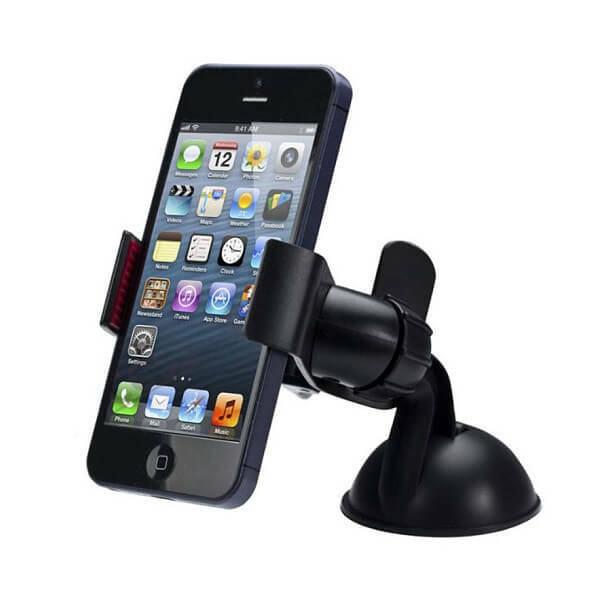 The Universal Car Smartphone Holder features a pivot arm for greater positioning control. The mounts rotates 360° and has an adjustable grip to fit almost any phone width, including soft cushioning material to protect your phone. 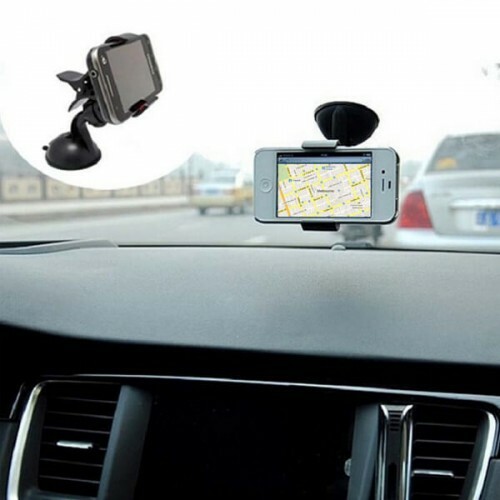 • Car holder for phone, compatible with GPS, iPhone, Blackberry, Samsung, HTC and most smart phones. • Adjustable holding width up to 90mm. • Adjustable rotation for 360 degrees. • Clamp design, non-slip base keeping your mobile phone in holder steadily. • No tools required, easy to install and remove.